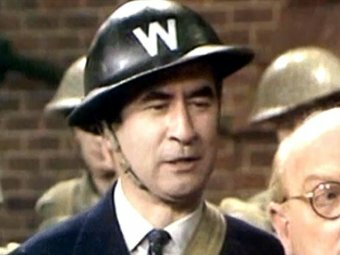 Bill Pertwee, who was best known for his role as the air raid warden Hodges in the classic 1970s comedy Dad's Army, known for his frequent wartime cry of "Put that light out! ", died peacefully in his sleep on 27 May 2013. He was 86. As ARP Warden Hodges, he was the antagonist who mocked and ridiculed the bumbling unit in the fictional town of Walmington-on-Sea. He also challenged the authority of its commanding officer, Captain Mainwaring (played by Arthur Lowe), the pompous, grammar school-educated bank manager who appointed himself to the role over his second-in-command, the laconic, public school-educated Sergeant Wilson (John Le Mesurier). 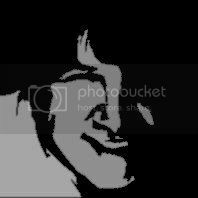 The comedy began in 1968 and ran until 1977 with audiences of up to 20 million, and is still repeated today. There was a 1971 feature film, a radio adaptation (1974-76) and a stage show (Shaftesbury Theatre and national tour, 1975-76), all including Pertwee. Pertwee was born in Buckinghamshire on 21 July 1926, nephew of the actor-writer Roland Pertwee and cousin of the actor Jon Pertwee (who was considered for the role of Mainwaring in Dad's Army) and the playwright Michael Pertwee. He moved from place to place as a child because his sales rep father took different jobs around the country. When he was 12, his father died and his Brazilian mother was left to bring up Pertwee and his two older brothers alone. The eldest, James, was killed in an RAF bombing mission over Germany in 1941. After leaving Southend College, Pertwee landed work as a factory machinist with the Southend Motor and Aero Club, whose wartime role was to make parts for Spitfire cannon. A postwar job with the City stockbrokers Oxley Knox was short-lived after he answered a telephone call with the voice of the broadcaster Raymond Glendenning. It was a talent that would later serve him well – but, at the time, it earned him the sack. He then worked in the sports department of a London store, Burberry, before spending five years as a window cleaner. However, his ambition was to enter show business and, in 1954, he offered comedy material to Beryl Reid as she was about to open in a London revue. He was invited to join the company and soon gave up his window-cleaning job. Later, he performed at London's famous Windmill Theatre – between the strip acts – and in variety with his wife-to-be, Marion Macleod (real name Marion Rose). Pertwee's break came in the heyday of radio comedy, when, in 1959, he was invited to join the cast for the second series of Beyond Our Ken, starring Kenneth Horne. He played many characters in the sketch-based programme until it ended in 1964, when the writer, Eric Merriman, fell out with the BBC. A year later, with scripts by Barry Took and Marty Feldman, it was relaunched as Round the Horne and Pertwee was in the first three series (1965-67). One of his most memorable characters was Seamus Android, a parody of the This Is Your Life presenter Eamonn Andrews (Pertwee became the subject of This Is Your Life for real in 1999, being surprised by Michael Aspel at the Imperial War Museum). He had already played the ARP warden in Dad's Army when he appeared as the village policeman in the sitcom Two in Clover (1969-70), starring Sid James and Victor Spinetti as insurance company invoice clerks leaving their jobs to take over a working farm. Many one-off roles followed in series such as Bless This House (1971), Love Thy Neighbour (1972), Man About the House (1974), It Ain't Half Hot Mum (1981) and Hi-de-Hi! (1986). When Jimmy Perry and David Croft launched the upstairs-downstairs period sitcom You Rang, M'Lord? (pilot 1988, series 1990-93), Pertwee was cast as PC Wilson. He also appeared in two Carry On films. On stage, Pertwee acted in West End productions of There Goes the Bride (Piccadilly Theatre, 1974), Worzel Gummidge (Cambridge Theatre, 1981-82), Run for Your Wife (Shaftesbury Theatre, 1983) and See How They Run (Shaftesbury Theatre, 1984-85). Pertwee was a founder member of the Dad's Army Appreciation Society, of which he was president, and wrote the book Dad's Army: The Making of a Television Legend (1989). He was also author of Pertwee's Promenades and Pierrots: One Hundred Years of Seaside Entertainment (1979), By Royal Command (1981), The Station Now Standing: Britain's Colourful Railway Stations (1991), Stars in Battledress: A Light-hearted Look at Service Entertainment in the Second World War (1992), A Funny Way to Make a Living (his autobiography, 1996) and Beside the Seaside: A Celebration of 100 Years of Seaside Entertainment (1999). Pertwee's wife died in 2005. Their son, Jonathan James, followed the couple into acting as James Pertwee.